Give your culinary marvels the presentation platform they deserve with our miniature square condiment tray! Made of premium quality plastic, each 2 oz. 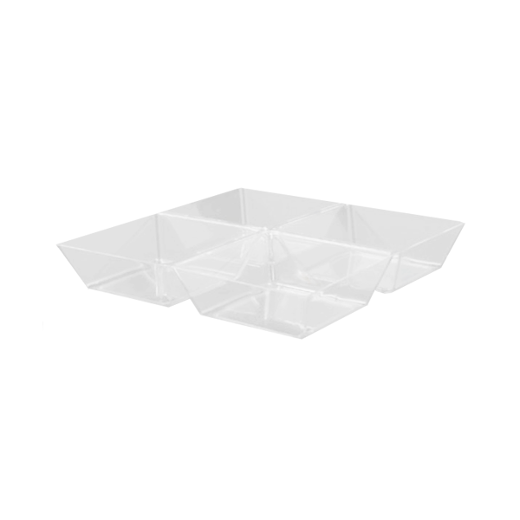 tray includes 4 individual compartments. Perfect addition to any banquet or buffet table! L: 6.0 in. W: 6.0 in. H: 1.0 in.